Kate has been with Dimension IV Madison Design Group since 2014. She graduated from the University of Wisconsin Stevens Point with degrees in Interior Architecture & Design and Art & Design. During school she continued her studies abroad in England where she worked at an interior design firm in Central London. She enjoyed traveling across Europe, exploring new cities, experiencing new cultures and discovering their influence on art and architecture. 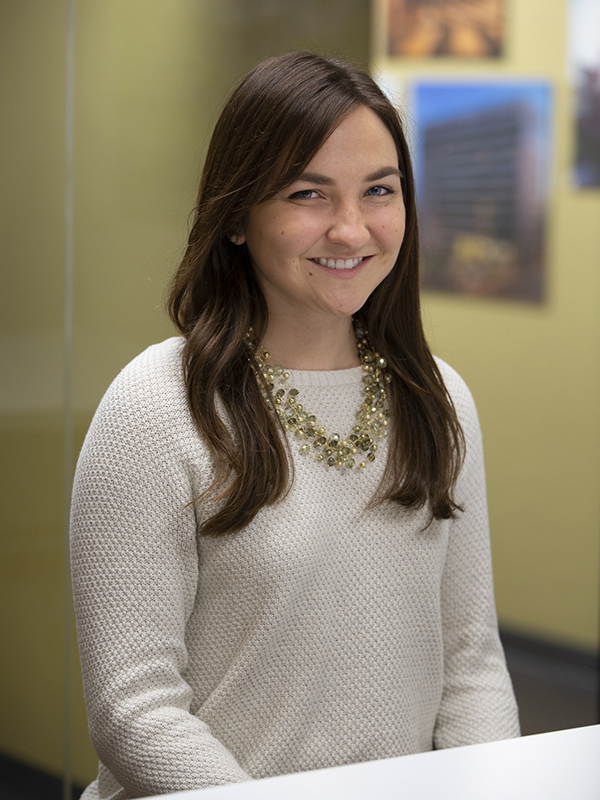 Kate is a junior interior designer at the firm and is working towards earning her NCIDQ certification. She uses her dual education background to assist with marketing and graphics for the company as well as interior design tasks. Kate keeps her creativity flowing through painting, sketching and photography as well as music and dance. She spends most of her days with family and friends, biking, kayaking or fishing.